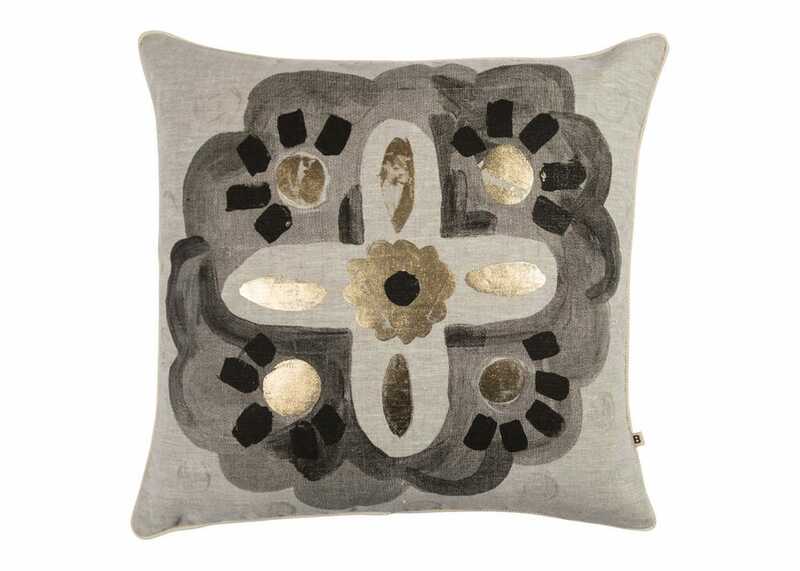 Inspired by Australian culture, this abstract printed cushion is handmade from the start to the end, including the hand screenprinting which makes every product by Bonnie and Neil unique. This double-sided design is hand finished with highlights of gold metallic foil onto 100% linen and filled with a feather pad. Machine washable on a cold delicate cycle, do not dry clean. This was a repeat purchase of this item because I was so pleased with the initial purchase.